Internet connected devices including laptops and tablets are increasingly becoming an essential component of the modern curriculum. Many schools have adopted a Bring Your Own Device (BYOD) policy, empowering students to use their preferred devices. For principals and school administrators, choosing or supporting the right devices for staff and students is only part of the equation. Often neglected is the critically important aspect of aftercare, or more specifically, how to ensure school devices survive the wear and tear of the classroom and playground and stand the test of time. The Warranty Group (TWG) provides extensive consultation for education institutes. Below, Gerald Gray, the Warranty Group’s head of Australia & New Zealand, compiles the top three tips to help principals plan for the year ahead. With shrinking budgets, cost cuts and high expectations from parents that their children have access to the latest and greatest educational resources, principals have a tough time when allocating budgets. Often overlooked is the cost of repairs or replacement of devices, which can amount to more than the initial purchase price over the life of the product. For example, a laptop screen replacement can cost anywhere from $150 to $300. That is a significant out of pocket expense when you think about the frequency with which screen cracks occur from school wear and tear. Having a warranty solution in place that covers accidental damage to devices will be worth the initial investment. However, not all warranties are created equal, spelling the difference between a good or bad warranty. Some warranty products may not include accidental damage coverage, or will only repair a device once certain conditions have been met. A warranty service should clearly state, in unambiguous language, what is and is not covered. Aftercare convenience is extremely important, especially in school settings. For example, some warranty providers require a device to be sent to the country of origin for repair. When combining postage, repair costs and the loss of usage time, there are numerous implications on the student and/or staff member. Therefore, it is of paramount importance to look for a warranty solution that offers local repair services with a quick turnaround to ensure minimal downtime. BYOD programs are becoming increasingly popular within schools. Principals may consider implementing such programs given the reduced costs for the school. However, as with any school program, there are a few considerations to take into account. Firstly, is the school’s IT infrastructure prepared to cope with multiple devices, operating systems and cybersecurity requirements? Secondly, parents may require direction as to what products would be best suited for learning and will look to school administrators for advice. Thirdly, aftercare protection is important for BYOD devices, as they may be more expensive than standard issue school devices. As such, parents will appreciate direction from schools’ administrators as to how best ensure the longevity of their products. As wireless devices pave the way for new educational experiences and freedom, product longevity is key. 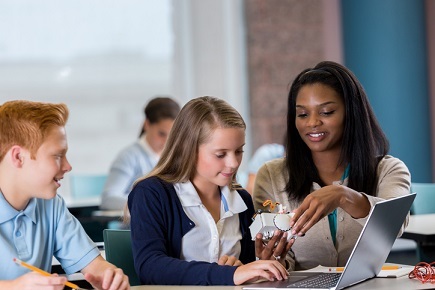 The high investment costs of devices mean it is important to look for warranty providers that deliver end-to-end solutions, with flexibility according to the schools’ requirements.